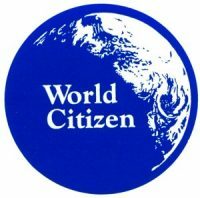 World Citizen stickers are simple and classy. They come in rolls of 100 or 1000. 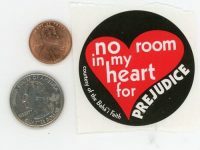 The stickers are 2 1/4 inches in diameter. 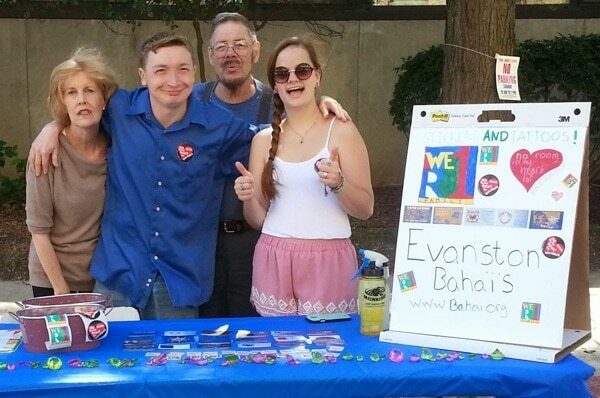 Every child is a Brilliant Star stickers are our lowest-cost stickers, yet they are large and full-color. The stickers come in rolls of 100 or 1000. Each sticker is 2 1/4 in diameter. 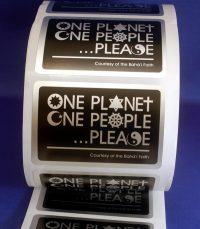 This sticker combines the classic One Planet One People... 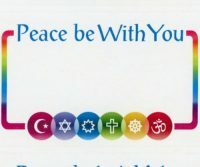 Please theme from the 1970's with the religious harmony theme of the Coexist design to create a universal message that is appropriate for many different events. 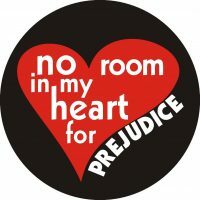 The black-on-metallic matte silver design has an elegant feel that will catch the eye and add dignity to the message. 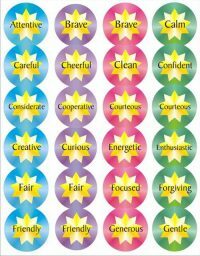 Kids will love these 1-1/4" sparkly 9-pointed star stickers! They catch the light and send rainbows of color dancing across whatever surface you put them on. 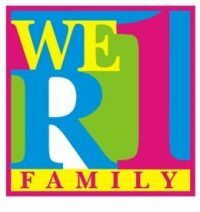 Wear them, use them as awards, decorate things like notebooks, water bottles, bicycles, and laptops, or use them for crafts to make jewelry, pencil holders, prayer book covers or art projects. The more the sparklier! Newly Re-Designed with colorful stars by Joe Paczkowski! These are perfect for Feasts, Unit Conventions, summer schools and other Bahá'í-centered activities. 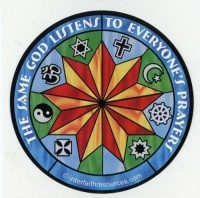 Not only does their distinctively Bahá'í design say "Allá-u-Abhá" and sport a nine-pointed star, but they also come in four colors to make it quick and easy to divide large groups into smaller discussion groups or workshops. Jazz up your gift giving with sparkling "To" and "From" gift tag stickers. 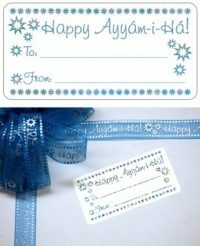 Designed to match our Ayyam-i-Ha ribbon, these 1.5x3" stickers are stamped with glittering color to make it easy to figure out who each gift is for and who it is from. The holographic sparkle creates a rainbow of color that matches any color of paper you choose. Use these 9-pointed star stickers to decorate gifts, notebooks, children's rooms, craft projects, cell phones, laptops, tablets, and anything else you want to beautify. 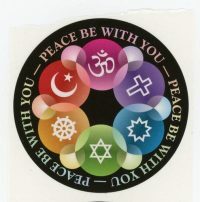 Three-inch square sticker comes with three inner stars and one outer star, giving you four stickers in one. Each package contains twelve sheets - four metallic gold, four metallic silver, two light blue and two fluorescent pink sheets, giving you 48 assorted stickers in all.